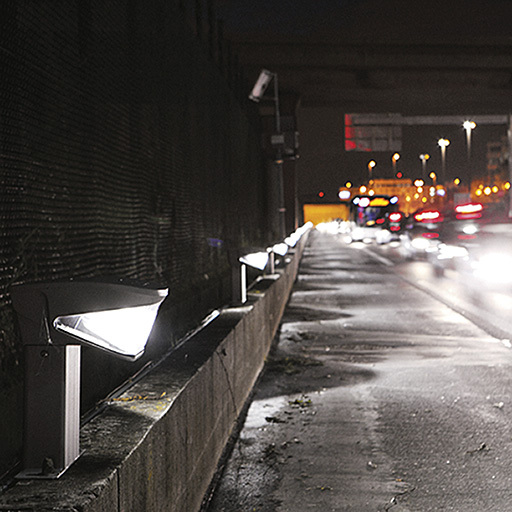 This complex lighting solution provides safe and comfortable driving conditions. Housing, canopies, spigot: die-cast aluminium with min 1,000hrs salt fog resistance. Bollard: 3mm steel, powder coated texturised light grey as standard (close to RAL9006), other colours and finishes available on request. Enclosure: UV stabilised polycarbonate, protected against graffiti and with extra scratch resistant treatment. Reflector: high reflectance aluminium coating. 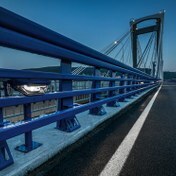 Tamper-proof screws and bolts: stainless steel, Ecolubric® treated. Mounting height has to be 0.9m from carriageway while offset should be 1.5m for optimum results. Plug and socket connections. Rear access to gear via 2 x M6 tamper proof Allen screws. Cable glands for Ø8 to 13mm cable. Adjustment at 0° through spirit level. Tolerance of 5° is allowed. Delivered complete, ready to install. Stirrup version: Rear access to gear components. Ready for through wiring via 2 cable glands. 180° rotating stirrup. Stirrup fixed through 2 x M10 tempered bolts. Bollard version: inside bollard access to gear components. Flange mounting. Head fixed to bollard through 2 x M10 tempered bolts. 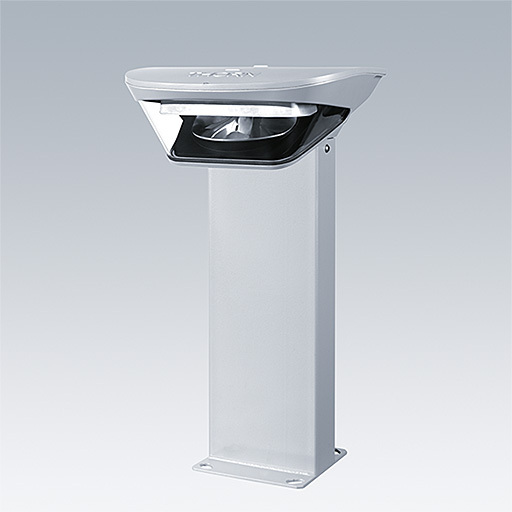 Innovative road lighting luminaire with LED, incorporating Flat Beam® technology, in die-cast aluminium reaching lighting standards at 0.9m high. 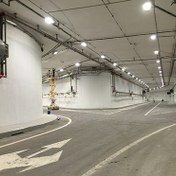 Sealed to IP66 with unique lighting distribution and choice of mounting options.